It is my wish that my children carry the spirit of the Christmas season in all that they do throughout the year. Kids tend to get wrapped up in the “getting” during the holidays but I want to be involving kids in holiday giving. By turning the focus off what everyone is doing for them, I want my kids to think outside of themselves and get excited about what they can do for others. Several years ago in our family, my husband and I agreed to make a shift on our seasonal focus. We stopped putting such emphasis on the “getting stuff” and decided to focus more on the seasonal aspects of the holidays. Instead of buying a lot of things our kids just don’t need we purchased practical and necessary gifts almost exclusively. We also drew more upon the feeling of the season by incorporating more memory making through the entire month. 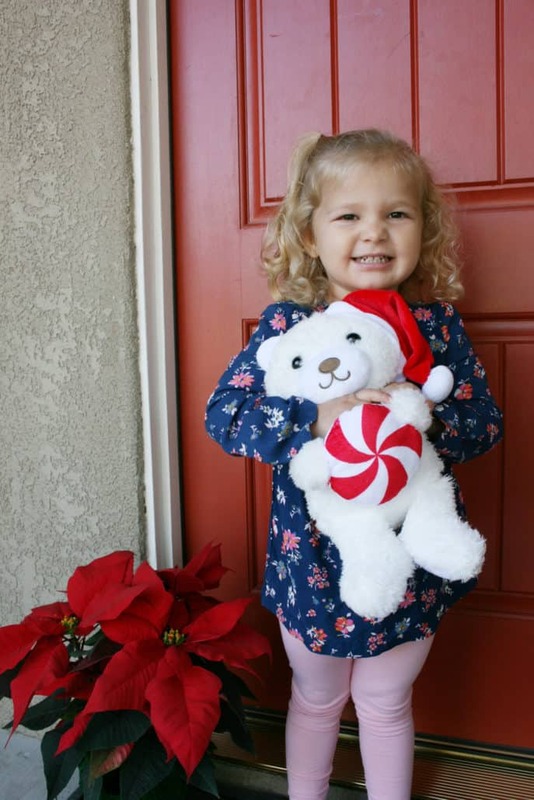 Involving your children with simple things they can do during the season will make them focus less on the gift getting and more on what they can give to others. 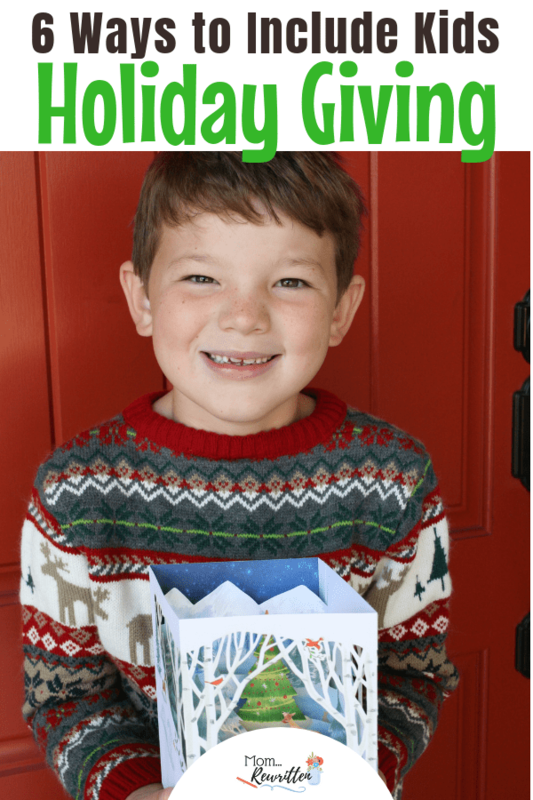 I have a few simple ideas for involving kids in holiday giving this season. There are many living in assisted living facilities or nursing homes that haven’t any nearby family to visit them. I can only imagine the loneliness of the holidays when family isn’t there. Call a local assisted living facility and find out if they allow visitors or if there’s something that the elderly would enjoy. Some may be on restricted diets, so verify that home baked treats are okay before bringing them. My aunt worked at a facility when I was a kid and I remember taking my tap shoes there so I could dance! Another time we came as a group to sing Christmas carols. Elderly people just love seeing children. Playing a board game or even listening to music together can be a favorite pastime. Older kids can appreciate that there are others who are less fortunate. Having your kids donate their gently used toys and/or books to other children is a beautiful example of helping others. Clean off book and toy shelves and discuss with the kids which items they are comfortable with passing down. I know my kids always felt sad knowing that there were local children who weren’t getting any gifts for Christmas. Children are usually more welcome to getting rid of stuff if they know that their things will be going to a child who could use and want them. Some donation drives require that items be new and not gently used, but check with the affiliation first. When my youngest son was about 4, I let him go Christmas shopping with me for his older siblings. I let him choose one thing each for his brother and sister and he was in charge of wrapping it and putting it under the tree. I can’t guarantee that he didn’t spill the beans about what was inside the package before Christmas Day, but he was positively delighted to have something to give! When it’s time to donate to the local food bank, let your children help you pick out the groceries and deliver them to the site. Keep a case of water in the car and hand them out to the homeless when you’re out running errands. Bring older kids with you to help at a soup kitchen serving others. Involve your kids in the process so they can see your good deeds and they will follow suit. I encourage my kids to think about giving internationally, nationally and then locally. We have sent shoe boxes with gifts to international children and donated monetarily to those in our nation. But where children can see the most impact of their giving is locally, especially to those in their own neighborhood. Most kids love to help in the kitchen so consider baking cookies or another seasonal treat to hand out to neighbors. Think particularly of those who do not have close family nearby and who would appreciate an invitation to breakfast on Christmas morning. Time spent together during the holiday season far surpasses any physical gift. However there are times when we just can’t be there in person. 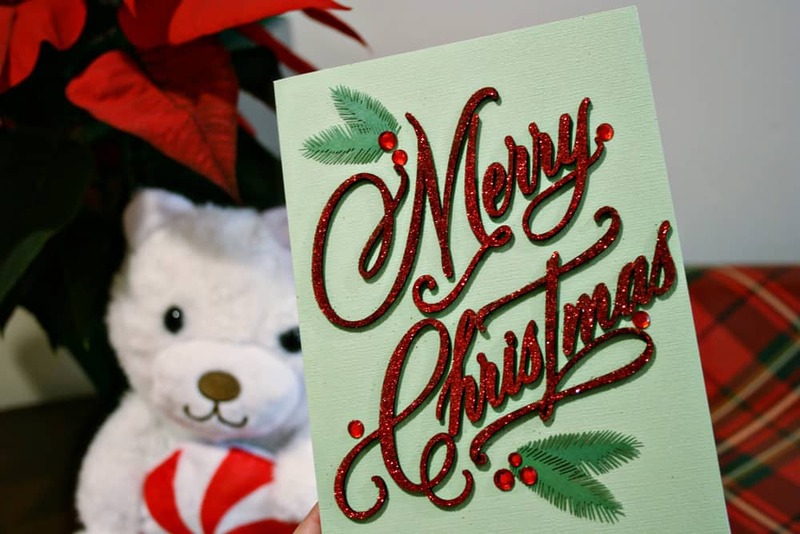 That’s when Hallmark Paper Wonder Cards or a Hallmark Signature Card are most important for conveying your message of joy for the holidays. 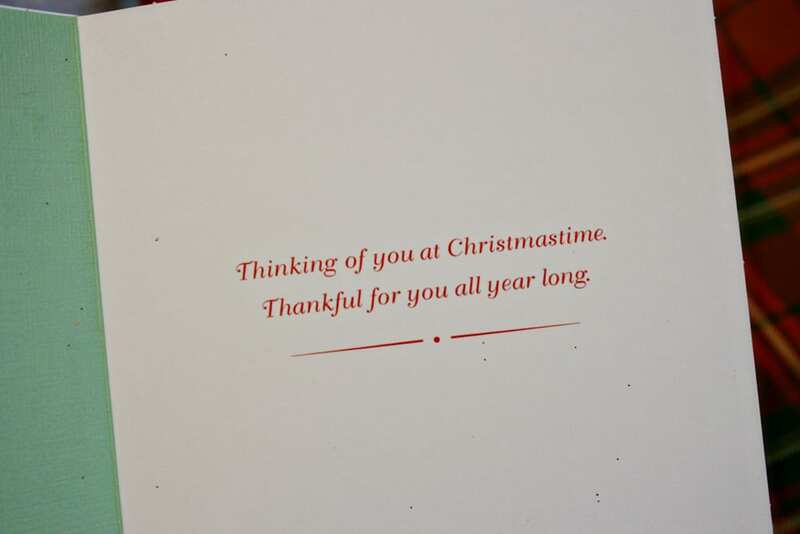 Hallmark Cards have long been a holiday tradition in my house. 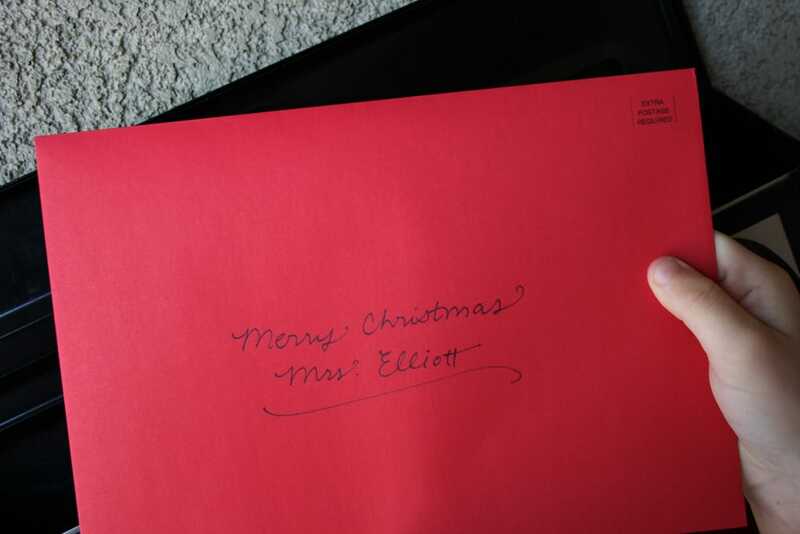 In this age of digital media, I still send Hallmark Cards to family and friends every Christmas. I found these beautiful Hallmark Cards at my local Walmart. In each of the examples of giving I shared above, an accompanying Hallmark Card would be most welcome. 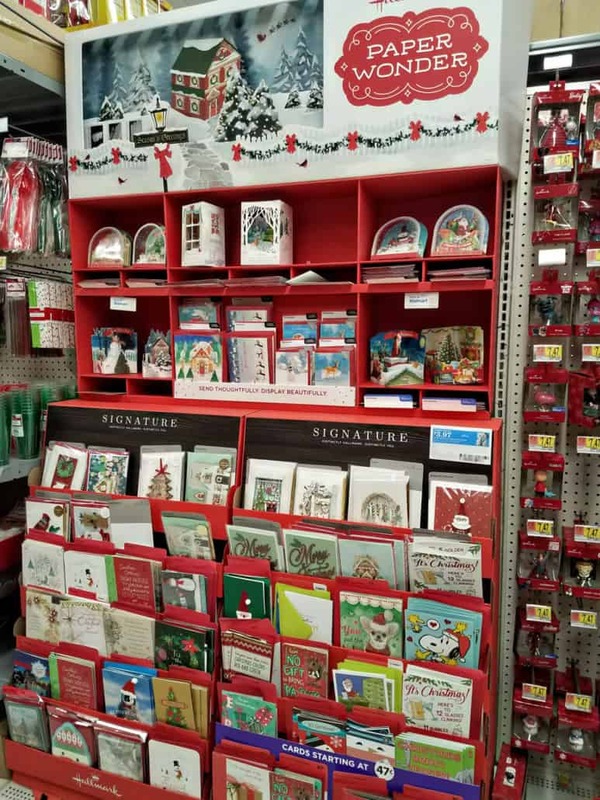 There is a fantastic selection of Hallmark Cards at Walmart and it’s a convenient and budget-friendly place to shop for all my holiday needs. 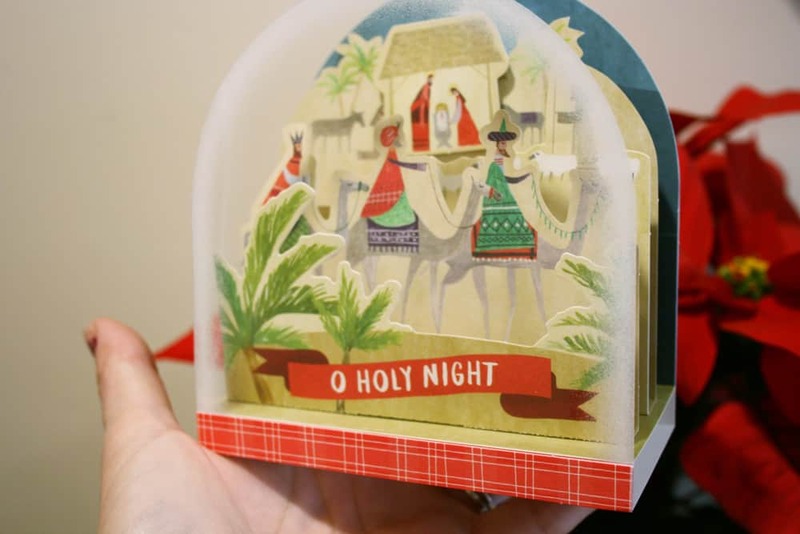 Seriously, I had the most challenging time choosing a card because all of these Hallmark Paper Wonder Cards and Hallmark Signature Cards are stunning, like miniature works of art! 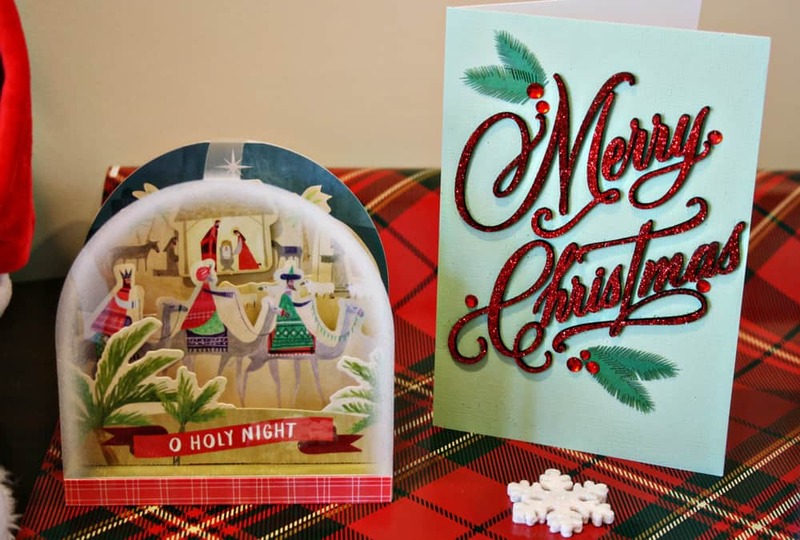 Consider how those who will receive your Hallmark Cards will feel when they receive them. Of course getting anything other than bills in the mail is special! And the thought of knowing that someone was thinking of them is sure to bring happiness. I know that whenever I’ve received a Hallmark Card, it’s immediately placed in a prominent place in my home, either standing on my front entry table or hung on the wall. Even if you can’t find the exact words to write inside, chances are Hallmark has a perfect card to express your sentiments! Card drive to mail to soldiers away from home. 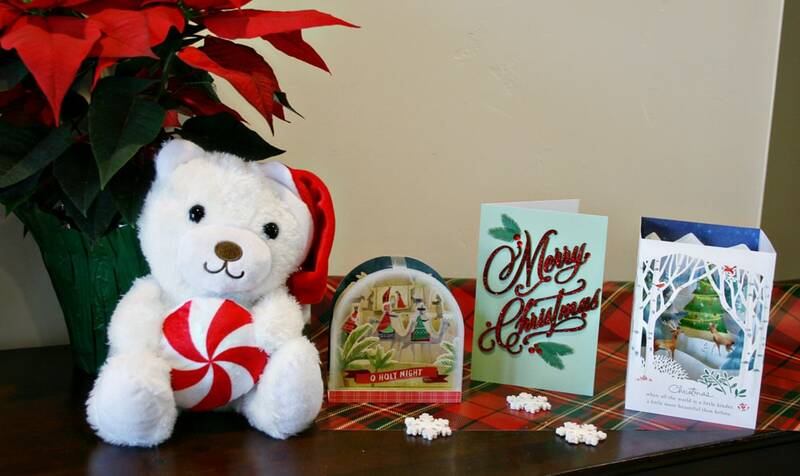 Give cards to those in an assisted living facility. Give to children’s caregivers including school teachers, dance or music instructors, babysitters. Grab a card for anyone throwing a holiday party. Cards for your children to choose and sign that will be sent to children who are less fortunate. 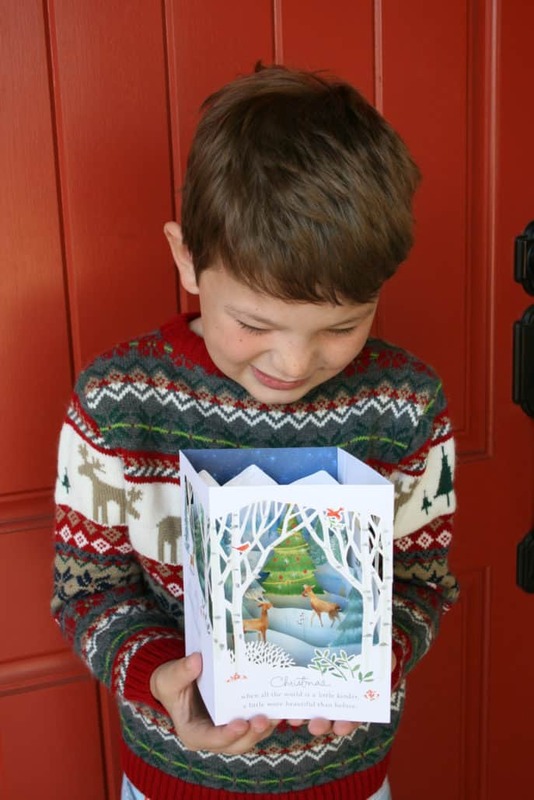 Get cards for family along with a photo or a drawing from your child. Include a card with food at the food bank, with thoughts of prayer. Include a card with a hostess gift or cookie exchange. When picking up your Hallmark Cards in Walmart, look for the in-aisle coupon which will allow you to buy 2 Hallmark cards, get one free. 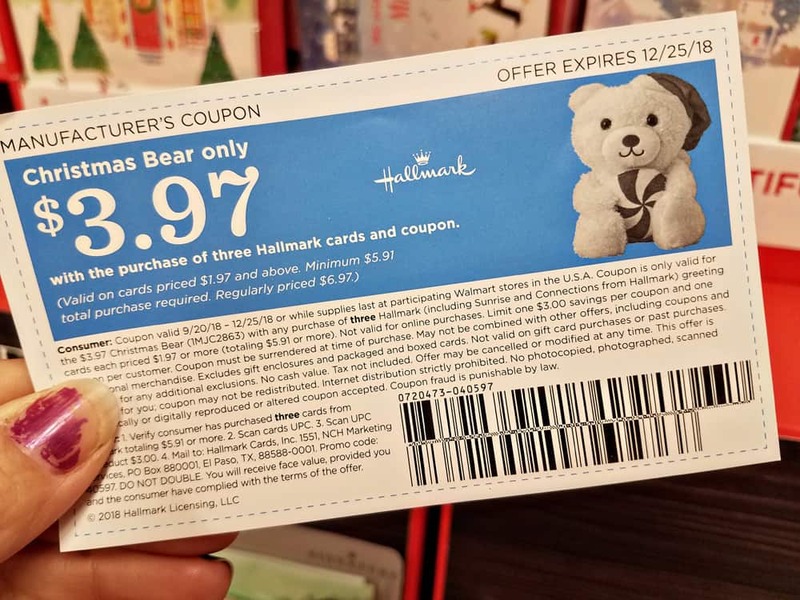 You can also get a plush Holiday Bear for only $3.97 with the purchase of 3 Hallmark Cards prices $1.97 or higher (Both offers available through 12/25/18 or while supplies last. See aisle for more information). Click through for the Ibotta coupon offer and earn $1 off a card purchase of $2.97 or more (Offer available through 12/25/18 or while supplies last).